Niki's Kitchen International Cooking School was founded in 2000, as an international cooking exchange project. 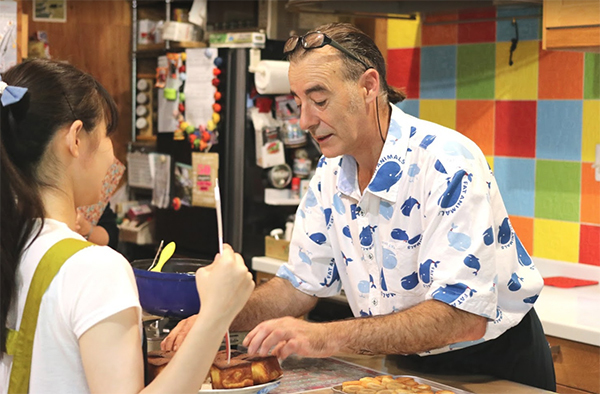 Over the 17 years, it has grown into a network of expat food enthusiast living in Japan who teach their country cooking and culture in the comfort of their own home. Currently we have close to 60 teachers from all around the world and looking for the teachers from selected countries: US, United Kingdom, Germany, France, Mexico, Brazil, Peru, China, Hungary, Vietnam, Finland, Poland, Norway, Denmark, Sweden, Israel, Iran, Greece, Australia, New Zealand, Georgia, Lebanon, Singapore, Switzerland, Slovakia, Slovenia, Belgium, Bhutan, Macedonia, Malaysia and Sri Lanka. Niki's Kitchen classes have been featured in a number of magazines and TV shows and has grown substantially in the past two years. With the student base of more than 15,000 people, we are looking at expanding our community of teachers to offer an even better, more diverse world of food where we can exchange experience and make new friends.